On 9th May 2016, we live streamed the transit of Mercury from our observatory. You can check the recording of this astronomical event here, but below is a screenshot during the transit. 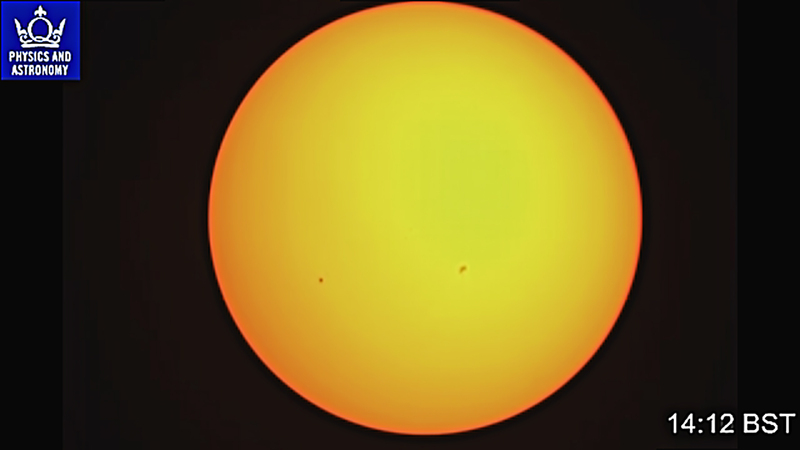 Mercury can be seen as the small circular dot on the left side of the sun (a collection of sunspots can be seen just to the right of the middle).